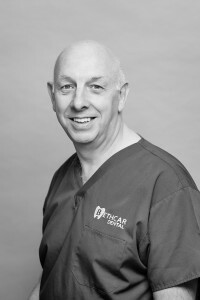 Lyndon qualified in 1970 from Bristol Dental School and, after a short associateship in Ebbw Vale, opened the current practice as a single handed business in 1973. The practice grew to its present size over the following 40 years. His emphasis is to provide caring dental treatment to a high standard in a pleasant environment for both patients and staff. Over the years he has witnessed the transformation of very nervous and phobic patients into relaxed and accepting ones. Lyndon enjoys all aspects of general dentistry especially cosmetic work. He is currently working part time for three days a week on a private basis.